On the 35th floor of the Cathedral of Learning, high above the noise and lights of the city, a group of about 15 Pitt students gather in a small stone room, which looks like a relic of the past, to discuss tales of bleak futures. Donuts and Dystopias is a group of students who meet every other week through the University Honors College to discuss dystopian literature and eat some doughnuts. Emily Meyer, who graduated last spring with degrees in Neuroscience and Psychology, started the group in 2011. Rachel Upadhyay, the president of the group, said the semiweekly meetings give the students a break from their regular school schedules. Upadhyay chooses a book every two weeks for the group to read. Some of the recent dystopian novels the group has read and discussed at their meetings include “The Giver” by Lois Lowry, “The Wanting Seed” by Anthony Burgess and “Out of the Silent Planet” by C.S. Lewis. Members pay $5 in the fall for doughnuts and other treats provided at the meetings every other week. The University Honors College pays for the books the group members borrow for two weeks. Chris Chirdon, systems analyst for the Honors College, is the Donuts and Dystopias adviser. Every year the group caps the number of students who can join, Upadhyay said, so every group member can have their own copy of the books to borrow and to keep the meetings small. “That way everyone gets a chance to talk about the books,” Upadhyay said. On a night in November, the group discussed “Out of the Silent Planet.” The students don’t just summarize the book and the plot. They dig deep into the books’ symbolism and make comparisons to the present. Their conversations might revolve around racism, World War I, the Great Depression, Native American oral tradition and the inevitability of death. Suzy Hinkle, a junior majoring in chemical engineering, coined “crap-time” at the group’s meeting. Hinkle uses the term to describe tumultuous periods, such as wars or depressions, in history. “There’s always a crap-time going on,” Hinkle said. Hinkle said dystopias often point out issues of classism and racism present in our own society. The group often analyzes the books in a historical context and relates historical and societal problems, crap-times, with themes in the dystopias. Whether it’s fictional crap-times or actual crap-times, Donuts and Dystopias has probably discussed it. “I feel like dystopian novels usually end up being a commentary on what is going on around us,” Hinkle said. So does the recent wave of young adult dystopian literature mean that young people are increasingly discontent with the times? Since 1949, American readers have seen their own crap-times. The sales of George Orwell’s novel about government surveillance, “1984,” skyrocketed after Edward Snowden leaked details about the NSA’s global surveillance program. The 1949 novel’s sales still don’t come close to “The Hunger Games” sales. The trilogy toppled Orwell’s sales in less than six years after its first publication. 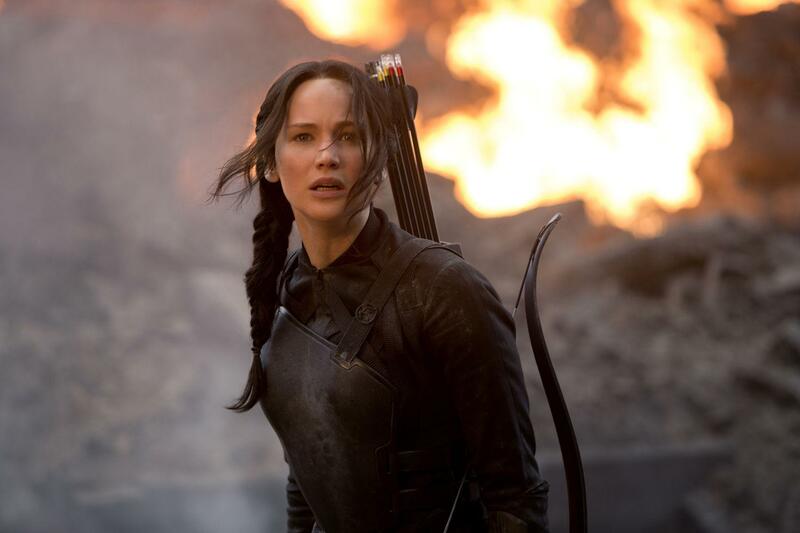 The first two “The Hunger Games” film adaptations each grossed more than $400 million at the box office. “The Hunger Games” has surpassed “Twilight,” the vampire love story made into films, at the box office and on the best-selling book lists. The “Divergent” trilogy, a similar franchise to “The Hunger Games,” has also become a best-selling series with 20 million copies sold. The young adult dystopian trend may have to do with series like “The Hunger Games” and “Divergent” being “hugely successful,” according to Lori Campbell, a literature professor at Pitt. Campbell teaches classes on young adult fiction and often uses the first book of “The Hunger Games” series in her curriculum. The shift in dystopian novels’ target audience from adults to young adults, Campbell said, is because the young adult category is still “relatively new” and didn’t really exist when Orwell and other authors like C.S. Lewis and Aldous Huxley, were creating their dystopian worlds. Both novels have female heroines who rebel against oppressive government leaders. Campbell said this may be a commentary on the evolving roles of women and the rebellious nature of young people. The latest film adaption of “The Hunger Games” series, “The Hunger Games: Mockingjay – Part 1,” has grossed more than $230 million in its 12 days of release.